Remington UMC’s .223 Remington load will serve well in any AR-15 or other firearm chambered in 5.56 NATO. 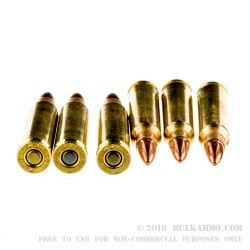 This range ammunition has similar ballistic properties to M193 ball and propels a 55 grain full metal jacket bullet at a muzzle velocity of 3,240 feet per second. Each box contains 20 cartridges in plastic racks for easy loading. 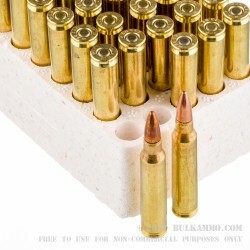 This ammo uses Boxer primers and reloadable brass casings. The Union Metallic Cartridge Company gets its name from the Civil War, when it supplied ammunition to forces loyal to the Union government and the Lincoln administration. After the war, it reincorporated and became a major supplier of ammo to the private market. Major milestones in the history of UMC include the first production of American centerfire ammunition and the first production of cartridges in the venerable .22LR. The UMC and Remington brands have had shared ownership for many decades; currently, UMC focuses on producing large amounts of ammunition in popular cartridges such as .223 Remington. 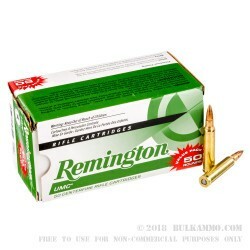 I used a brand new Benelli MR1 .223 Rifle and this Remington ammo. Out of the first 25rds.I ever fired out of this weapon with the Remington ammo, I had 5 FTE. It didn't matter if I loaded using the magazine, or 1 rd. at a time by placing the round into the chamber w/o the magazine in place, it still had multiple FTE. And, after just these 25 rds. it was probably some of the dirtiest ammo I ever used in forty years. To make sure it was not the Benelli MR1, I switched to Nosler Custom Competition 77gr. ammo to zero the rifle. I also used Winchester Ballistic Silvertip 55gr. and Lapua 69gr., w/o one misfire from any of these. I did a slow aim-fire and a rapid fire w/o a glitch. 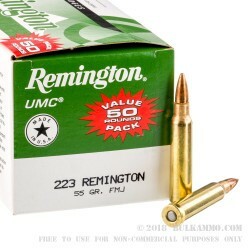 A: This Remington .223 ammo has been proven to be reliable in all AR 15 rifles chambered in .223 or 5.56 NATO. This is an excellent go-to round for any target or hunting application among many shooters. All components are non corrosive and the brass is reloadable.